Buying Condos Lofts in Los Angeles can be a daunting task to the uninitiated as there are so many different neighborhoods to search for For Sale or For Rent condos and lofts in varying style of architecture , age of the building, amenities offered , availability of parking space off and on street, availability of financing , reliability of property management, walkability of the neighborhood and proximity to public transportation , entertainment and restaurants.. Wilfredo Navarro and Maple Navarro, a father- daughter team of Greenstone Properties can assist every buyer in making the experience of buying a condo and lofts a pleasant and easy one. Wilfredo and Maple Navarro’s combined experience and expertise will prove valuable to the buyer in avoiding pitfalls associated with buying of condos or lofts or any property for that matter. The team of Wilfredo and Maple will guide the buyer every step of the way in going through the maze of documentation related to the purchase of condos and lofts. There are Five residential neighborhoods/district that the buyer can search for condos and lofts in Downtown Los Angeles, namely South Park , Arts District, Historic Core and Financial District and Fashion District. Without leaving home , The buyer can read about the description of the condominium buildings in all of the downtown neighborhoods by going to the HOME page of our website LACONDOSEARCH.COM and simply clicking on the name of the buildings. In addition, By clicking on the blue colored For Sale or For Lease, the buyer will be able to see the most current For Sale or For lease condos and lofts in each of the residential buildings named on the Home Page of our website, LaCondoSearch.com. Our website is link to the Multiple Listing Service (The MLS) giving our user the latest up to the minute For Sale and For Lease Listings of condos and lofts in Downtown Los Angeles and the surrounding areas . LACondoSearch.com utilizes the latest innovations in technology, social media, market research and business strategies to meet your search criteria. More importantly, we listen to your needs and tailor fit the condo you are looking for to meet your particular requirement. Our goal is to be the place where you find your condo by providing you with everything you need to know about the entire Los Angeles condo lofts market and to successfully lease or own a condo or loft whether you are a first time condo loft buyer or a move up buyer. In addition to giving you a complete hands on access to our database of condos and lofts for sale and for rent in the Los Angeles market, we can assist you not only in physically visiting the condos that you like to see and but more importantly in the negotiation process so that you may get the best possible price and terms in buying or leasing a condo or loft. As licensed local real estate agents, we know the highly specialized Los Angeles condo loft market at the back of our hands. We will use our expertise to effectively assist you in buying your condo or loft that fits your needs and budget. In short, we know condos and lofts and we have the fire and the passion to help you match your condo or loft requirement to what is available in the Los Angeles market place. 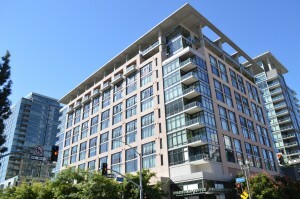 We live in Downtown condo as well and we know how exciting it is to live, work and play in Los Angeles. We are in the best position to help you find your condo loft in the vibrant and exciting community of Downtown and the surrounding communities of Los Angeles whether you are buying or leasing. So let us be of service for all your condo or loft needs. Buying condos lofts will likely be the biggest financial purchase one will make in his or her lifetime. Understandably, the purchase process can be overwhelming, intimidating, and incredibly stressful. One way to lighten up the daunting task and instead have a positive pleasant experience is to make sure that the buyers are prepared and fully understand the steps in the home buying process. Do your research online. The best way in doing a research online is to use search tools such as our website Lacondosearch.com. It is user friendly and easy to use. It is comprehensive with up to the minute MLS listed property information on what is available for sale in Downtown Los Angeles, Marina Del Rey, Playa Vista, Hancock Park, Pasadena and Hollywood areas of Los Angeles. Determine exactly how much condo loft you can comfortably and feasibly afford. Ask your real estate agent to refer you to a loan officer that he/she knows and has already had dealings before. The loan officer will be able to pre qualify you, the buyer and tell you how much of a condo or loft you can afford to buy. Getting prequalified and preapproved for a mortgage shows prospective sellers and agents that you are a serious buyer. A preapproval letter lends you instant credibility as a buyer. If you have contacted several agents, decide which agent are you going to work with. This is a crucial step. It is important that you work with an agent or with a team of agent that you trust, since you will be working closely with them throughout the entire purchase. Shop around for your condo, and then make an offer that you are comfortable with. This is another step where you will have to do a little research. Start looking at condos in your price range. Once you’ve found the condo that is right for you, evaluate the neighborhood and compare similar condos that have sold recently. Doing a little bit of legwork before you make an offer can save you thousands down the road. Your real estate agent can assist you in setting up appointments in viewing the condo lofts in the market and in giving you the information on past sales of similar units that you are looking into so that you can make an informed decision. Set up and get an inspection. Generally, purchase offers are contingent upon a successful condo inspection, in which no major structural damage is present and there are no major flaws or faults in the home that will need to be fixed. Again your real estate agent with extensive experience can assist you during the buyer’s inspection process. Work with your mortgage banker to select your loan. Your bank will undoubtedly have a selection of loans to choose from. Work with your mortgage professional to determine the one that is best suited for you. Arrange to have the condo appraised. This will give an independent and unbiased estimate of the market value of the condo loft you are purchasing. The primary purpose of the appraisal is to ensure that you are, indeed, paying a fair price for the property. This process in normally done by the bank who will finance your purchase. Coordinate and sign the paperwork. Your real estate agent or team of agents can help guide you through the maze of legal documents that you will need to sign in order for the escrow to be completed and closed. Closing of the sale. Escrow will close the sale and will have it recorded. Congratulations! You are now a Los Angeles condo loft owner. Of course this is just a basic overview of the steps needed to buy a condo. If you have any questions about the buying process or living in LA, please feel free to reach out to a member of our team directly. We are standing by to answer any questions you may have and welcome the opportunity to earn your trust and lasting business. Connect today!